This year, on the feast of Corpus Christi (31st May 2018), Archbishop Cushley (UK) affirmed traditional Church teaching that Sunday Mass is not optional. His Grace went on to emphasize the importance of attending Sunday Mass, noting that missing Mass due to extraordinary circumstance, such as an illness, is acceptable. But under normal circumstances, “attending Mass on Sunday is a solemn and binding obligation . . . If we deliberately fail in this matter, it is a grave sin and we must go to confession before receiving communion again,” he said. 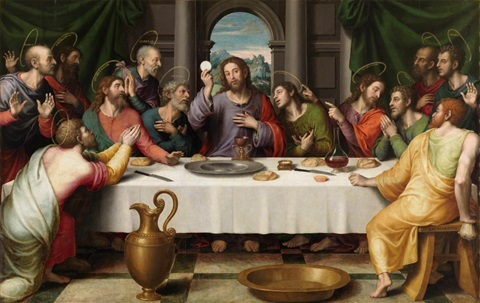 According to Canon Law, “Sunday, on which … the paschal mystery is celebrated, must be observed in the universal Church as the primordial holy day of obligation” (Can. 1246 §1). “On Sundays and other holy days of obligation, the faithful are obliged to participate in the Mass” (Can. 1247). This ‘Church Law’ is taught in the Catechism that states the “Sunday Eucharist is the foundation and confirmation of all Christian practice. For this reason the faithful are obliged to participate in the Eucharist on days of obligation, unless excused for a serious reason (for example, illness, the care of infants) or dispensed by their own pastor. Those who deliberately fail in this obligation commit a grave sin” (2181). What we find in Canon law and in the Catechism affirm Archbishop Cushly’s teaching. However, sometimes due to personal biases individuals often justify why they do not fulfil their Sunday obligation. Hence, further explanation is necessary. According to 2182 of the Catechism, serious reasons may justify a person’s failure to meet their weekly obligation. In fact, circumstances may mitigate this obligation completely if the intent to fulfil it (the Sunday obligation) were present. However, if one uses circumstance as an excuse for abandoning the worship of God and keeping holy the Sabbath, he or she certainly commits an objective mortal sin. But, if one is completely limited by circumstance, losing their freedom to act in accordance with their good intention (of fulfilling their obligation), no sin is committed. At the end of the day we either have enough love for God in the decisions we make, or we sin – meaning we (1) have no love for God in the decisions we make (2) by act or omission we choose to be unfaithful and (3) actively alienate ourselves from God.